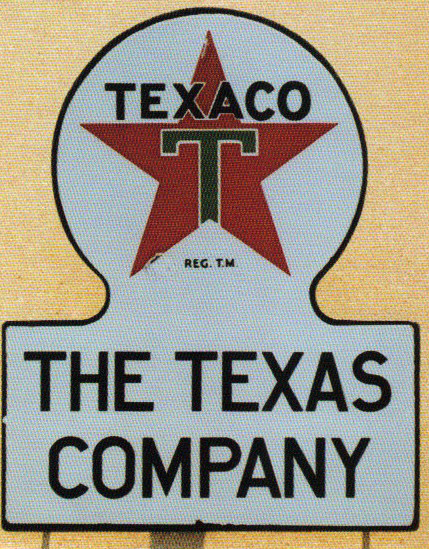 Die-cut sign for The Texaco Company. This sign has a lot of colors. It has hints of tan, white, and red.